Food 4 Thought Gourmet commenced cooking classes throughout Perth and suburban areas in August 2007. We offer hands-on cooking classes and cooking demonstrations for private and corporate functions at the client’s own premises. Participants are taught how to source the right ingredients, the best equipment and prepare delicious dishes. Then it is time to devour the scrumptious creations. There are many different classes to choose from and we are happy to create a class that suits your individual requirements. For more information please follow the link to cooking classes. 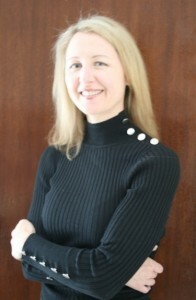 Fiona Douglas is the face behind Food 4 Thought. She is a passionate cook who has worked within the food industry and at a Perth Gourmet Cooking School in previous years. The inception of Food 4 Thought came from the desire to inspire people to cook and the recognition that many people are time poor and want to learn quick and easy ways to create wonderful food at home. This developed into the idea of having friends over for a “dinner party” where everyone does the cooking together, so that all those who come along not only have a wonderful time with their friends and enjoy some delicious food but also learn something! For Fiona cooking is about bringing people together, sharing knowledge, having fun and eating some delicious creations. Classes are developed around that concept and also use readily available ingredients and equipment. If you would like to make an inquiry or have any cooking questions please contact Fiona by clicking here. The blog was designed to put Fiona's passion for cooking into pages, to share recipes, experiences and photos from her humble kitchen, hopefully inspiring others to cook. Her work space is tiny, she doesn’t have a dishwasher, nor a digital SLR (her new dream machine - the Kitchen Aid box was ticked a few years ago). The photographic studio is her tiny kitchen table and the business's official (and very critical – in a good way) taste tester is her adoring partner, G.
So, take a look, use the recipes as inspiration, change them and make them your own. We'd love to hear from you, so please leave a comment and tell us about your own culinary experiences and adventures. Our images, recipes and all text, along with the design and layout of this site are protected by Intellectual Property Rights. However, permission is granted to other (non commercial only) web foodfourthought.com.au is included. Use of foodfourthought content in violation of these terms constitutes a violation of copyright. Hot-linking of images is not permitted nor is any distribution with intention to profit without prior written permission. Please use the contact page to email us. All links posted have been verified at the time of posting, however, we are unable to take responsibility for their content thereafter. We do try to keep all content as up-to-date as possible but if you find broken links, or linked content that obviously has no relation to the post anymore please let us know. We are writing with the best intentions in mind and all posts come from a personal view point. When posting reviews, we attempt to keep as objective as possible and when using non-original content, we attempt to research to the best of our knowledge. We consider our site to be a friendly place to share knowledge and foodie experiences, therefore we do not accept any harsh or disrespecting comments – they will be deleted immediately. Comments which solely have the intention to advertise will also be promptly removed unless prior agreement has been arranged. We are unable to take responsibility for the recipes or sites that we link to, nor the correctness of their content, however they have been reviewed at the time of posting. We reserve the right to change parts (especially recipes) or all of the content without prior announcement, to supplement, to delete parts, temporarily or permanently cease the operation of this site. Finally, the intention of this site is to share knowledge and experiences, to be informative and fun! We hope that you enjoy visiting the site and come back soon.